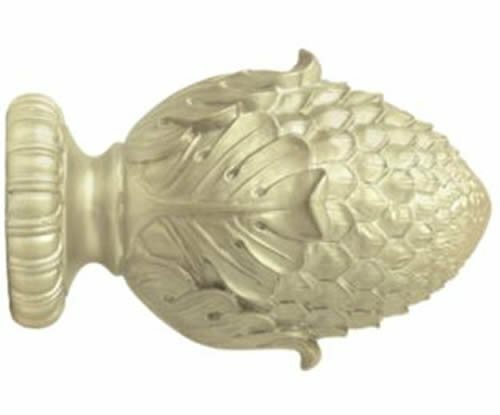 Amazing Drapery Hardware Our eCRATER Store About Us Contact Us Add to Favorite Sellers Kirsch Wood Trends Classics Oakleaf Finial, for 3" pole, Satin Gold (MPN# 50977894) WOOD TRENDS ® CLASSICS Create a stunning look for the window with the classic allure and rich wood finishes. For 3" pole Satin Gold Sold Individually . Coordinates with the Kirsh Wood Trends Classics products. For more than 100 years, Kirsch has taken great joy in being selected by designers whose visions create those special places. MPN# 50977894 Click here for more product information Find this and much more, at our eCRATER store, Amazing Drapery Hardware. We ship internationally.Select one of our international shipping options to take advantage of our discounted international shipping rates . Buyer pays any import fees- tax/tarrif/duty. WORRIED THESE ARE RIGHT FOR YOU? NO PROBLEM! We accept returns on all our parts within 30 days for a full refund. AND We are also here to help you through your ordering process. AND We are still here to help with any questions you may have about your installation once you receive your parts and get to work. QUESTIONS??? EMAIL US We have years of window treatment experience, WE CAN HELP!. 2" Metal Ladder Drum For 2" Horizontal Blinds w/ High Profile Headrail. 100 FEET 1.8mm GULF BLUE LIFT CORD for Blinds , Shades, and more.